You don’t need to drive over the Ravenel to discover the Lowcountry’s rich and varied history. Mount Pleasant is home to several historical attractions that give visitors a look into the Charleston area from the colonies to present day. Explore these museums and historical sites to take a look back at our shared past. 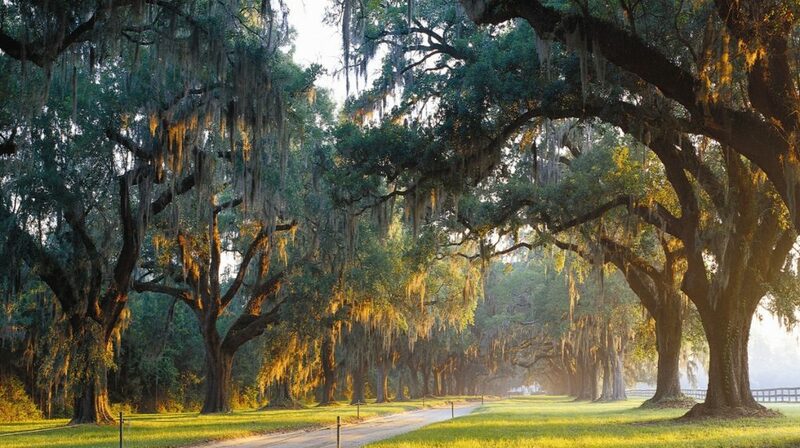 Drive down the moss-draped Avenue of Oaks toward the grand mansion house at Boone Hall Plantation (1235 Long Point Rd.) to feel like you’ve stepped back in time. Tours will take you through the main house, the sprawling grounds and working farm, and a rose garden. After the tour, amble through the grounds and visit each of the original slave cabins, which now house the Black History in America exhibit. Cap off your visit by sampling the fruits and vegetables grown on the plantation across the street at Boone Hall Farms (2521 Highway 17). Walk in the footsteps of American service members at the Patriots Point Naval and Maritime Museum (40 Patriots Point Road), where visitors can get an inside look at the day-to-day life onboard a military aircraft carrier, the USS Yorktown. The centerpiece of Patriots Point is the Yorktown, but the complex is also home to a fleet of historic ships, 28 aircraft, the Cold War Memorial, the Medal of Honor Museum, and a Vietnam experience exhibit. The Charles Pinckney Historic Site encompasses 28 acres of Charles Pinckney’s, signer of the Constitution and former South Carolina governor, rice and indigo plantation. Tour the farmhouse museum and grounds for a look into the “forgotten founder’s” life, the history of the plantation’s enslaved inhabitants, and the beginnings of the United States. Guided tours of the grounds and archaeological displays are also available to visitors. Walk back through time by taking a self-guided walking tour through Mount Pleasant. Download the Mount Pleasant Historical Commission’s mobile app and explore historic sites using the app’s GPS-enabled map to discover stories and archival images of the people, places, and events that shaped our local history. Try the Old Village tour and discover 25 unique sites dating back to 1766. Stop off for a refreshment at the 80 year-old Pitt Street Pharmacy (111 Pitt Street) for a taste of history while you stroll. You can also subscribe to Quick Fact Friday emails for weekly history trivia or visit the History Room (by prior arrangement) in Town Hall to view exhibits.